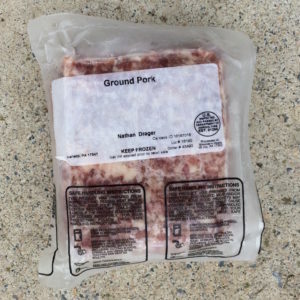 Standard cut Pork Shares are available for pick up at the farm. Niman Ranch heritage breed piglets woodlot raised and fed non-certified organic grains sourced from local Pennsylvania farmers. Processed in November 2017. $250 deposit required for a whole pig. $150 deposit for 1/2 pig. Balance due upon receipt. 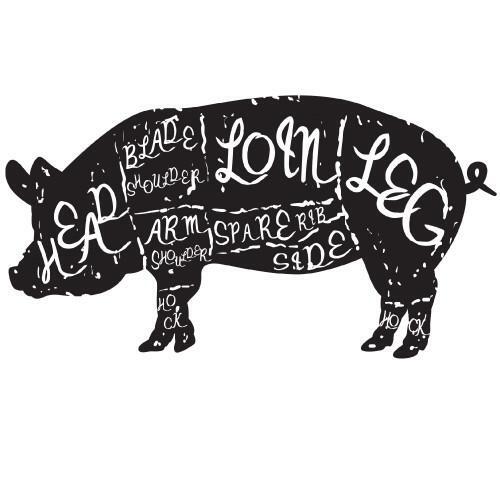 Feet, head, organs, bones, and lard can be included upon request if we have them in stock. Storage space available for an additional fee. Frozen, vacuum sealed packaging. USDA inspected. Pastured woodlot raised pork. No GMOs. No hormones. No antibiotics. Drager Farms will contact you after receiving your deposit to finalize your choices from the options below. OTHER OPTIONS: Feet, head, organs, bones, and lard upon request if available. Freezer storage for 1 year, add 50¢/lb.